gayroute4info AT yahoo DOT ca ~ Please copy/paste/adjust. Check the Home Page in the left column for Our main E-mail address. We thank you for contacting us today. We appreciate you taking the time to share your thoughts, feedback, comments and information with us to help make this local gay community website a better place. Read the text below, if you want our listing details. Once your message has been accepted and received, it will be sent to our customer service team for analysis. If your message bounces back to you or you cannot reach us immediately, please try again later or store your message for further examination. Report all major bug problems to our main Email address at all times. We do appreciate the time you’ve taken to send us your message. All of the E-mails are read by a human being and if you requested an answer, someone will respond as soon as possible. That also means we are not responsible for lost or/and misdirected E-mail messages sent over the global internet. Our Email services are very secure but remember that messages you are sending to our team may be intercepted by others before it is received by our own offices, so we cannot guarantee the privacy or delivery of email that your send either. Please allow us sometime to get back to you also okay ? Please understand that due to the very high volume of E-mails that we do receive, we may or may not be able to reply to all of the messages. Thank you again. ALL THE BEST FROM OUR SUPPORT TEAM & MEMBERS ! *Include 5USD or 3 IRCoupons for the return postage to you. Not responsible for lost or/and misdirected mail. Allow 6-8 weeks for replies. GAYroute © Since 1977 ! Have you answered our web poll question ??? Did you need to reserve a room or lodging ??? photo: an excellent downtown view from the Jacques-Cartier bridge. Remember to take our home page website poll today, Thanks ! We'd like to include 'thanks' in your language, send it to our direct office E-mail at the top of page. Your feedback helps us improve the quality of our GAYroute.ca home and other pages. A human being does review all submissions, though we cannot respond due to volume, your messages are appreciated at all times. We collect personal info on this website and GAYroute.ca shall own and may use, without attribution or compensation, any feedback provided here. To learn more on how we use the info you provide to us, review the other pages and especially the About Page on our site. Thanks for your reporting the situation, plus we appreciate you bringing this to our attention at GAYroute.ca and we'll investigate it too. Please note that we'll follow up with you only if we require more info or we have additional info to share. FOR PAID LISTINGS: A single basic text listing is FREE but never guaranteed (read the text below on how to proceed). Our paid enhanced text listings are starting at $96 each per year (ask for more details by E-mail to our main office reply address). The two different types of listings do include your name, your contact info and your brief description. Sorry but we do not accept or permit personal listings. 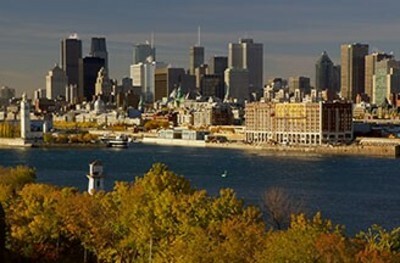 We have had your local trust in Montreal with our listings service ~ Since 1977 ! NON-PAID LISTINGS: To add your free listing or for any updates (even after your paid listing(s) has been placed), send your request in writing for our quick review. All listings must come to us through our data provider: NEW WORLD Marketing Group. So kindly include your business name, E-mail address, all contact details plus a brief description. If your sending an update, place "URGENT" in the subject of your E-mail. Notice to everyone: To have your business or service listed on any of our website locations or for any modification requests, they must be made in writing by E-mail. Also they may not be reflected on our links immediately at any of our sites, as our update cycle period is from one to two months. So please contact us directly with your very detailed requests and await a return reply from our service team. Then when you are ready forward it ONLY to our data provider, marketing and sales agents at their own E-mail address: nwmg_services@yahoo.ca Sorry, you can't add listings directly to this secure database. Any submited details sent, may be changed to suit our listing specifications or will be edited for space and clarity. All submissions become the property of GAYroute.ca ™. Your recent additions or changes sent to our data provider are updated regularly and made as quickly as possible. The details will be relayed to our attention promptly for our review @ GAYroute.ca iñ•fö ™. So please note, that your business listing will not show up immediately after sending your request. We're not obliged to accept it and may reject it for any one of many reason. Not responsible for lost or/and misdirected E-mails. Currently, our exclusive gay community lists are available for the Montréal area only. Due to the large number of requests received, our data provider and ourselves included are unable to respond to specific requests nor guarantee all items and events sent to be listed on our pages will be placed on the GAYroute.ca ™ website or considered for future updates also. We value all of our local gay community plus what it has to offer and thank you for choosing us to help you promote your business and/or event to the whole world on our site. We wish you great success with your personal life, as well as your own commercial venture too. Once your listing has been successfully sent for review, our data provider reps might contact you. Plus only if it's necessary to reach you to clarify your recent submission to the GAYroute.ca ™ website and to verify any details concerning the contact info, plus only if they need to do so also. Please be sure to review all of the details listed above for your lisitng requests. NOTICE: We thank you for submitting your constructive criticism, any suggestion and bug reports about this site, that will be noted or filed for future review. Your report will be investigated and your diligence in reporting this problem is much appreciated. We regularly do collect info and details that is sent to our services attention. Also note that GAYroute.ca shall own and may use, without attribution or compensation, any feedback provided that was sent to our service. Any messages containing offensive or hateful comments will not be answered and we reserve the right to send all threatening messages to the proper authorities, if need be. However if your very serious in your message, you can reach us in any manner and we will answer you as quickly as possible. You’re helping produce a better online experience for everyone that will visit our gay community website. PS: If you are the original creator of material featured on this website and want it removed, please contact us immediately !